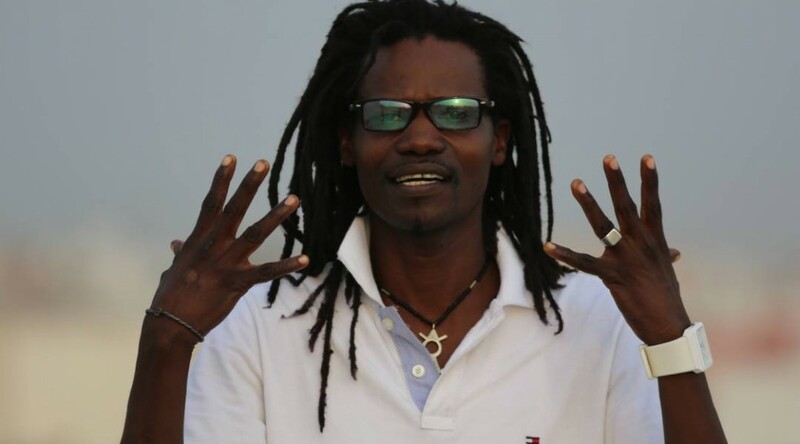 Vieux Sall, Senegalese musician and songwriter, born in Pikine / Dakar 1969, has been infected since his early childhood by music. 20 years later he publishes his first single, arranged by Mamadou Mbaye Jimmy, the famous guitarist of Youssou N’Dour. In 1990 Vieux Sall founds his own band “Mbalax Système” and celebrates his first success in the coastal towns of M’Bour and Saly at the Petite Côte. Inspired by this he continues playing in St. Louis, being very successful with performances in hotels and the French Cultural Centre. Vieux Sall expands his career being versatile playing other people’s and his own compositions which eventually makes him become a well-known and privileged musician. Back in Dakar Vieux Sall publishes his first album “LINOU MOON” in 1997 with six titles composed by himself, produced under the direction of Talla Diagne. Under the label JOLOLI Vieux Sall surprises his audience with a new album “SENTOO” with which he expands his success throughout Senegal.